In the post authored by Vaurum CEO Avish Bhama, the company announced that Draper intends to partner with Vaurum to use the roughly 30,000 BTC to provide bitcoin liquidity in emerging markets. The news follows the US Marshals 1st July announcement that one unnamed bidder had claimed all 10 of the auction blocks. Draper first began making headlines in the bitcoin ecosystem last June, when he announced that his Silicon Valley-based higher education facility, Draper University of Heroes, would become the first university to accept bitcoin for tuition payment. At the time, a spokesperson for Draper University told CoinDesk one student had already begun using bitcoin to pay his college dues, and that the school would be opening a co-working space and incubator across the street from the institution. According to Crunchbase, Draper’s notable recent investments include a host of Internet and technology startups, such as secure text messaging app Gliph, online investment management services provider Nutmeg, and mobile photo-sharing service Path. 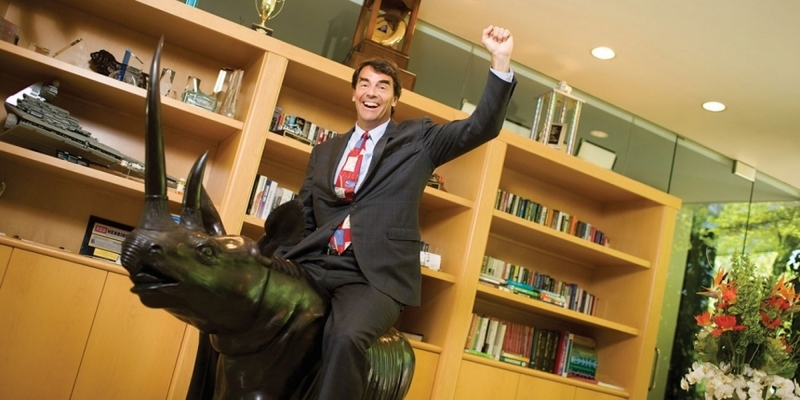 A third-generation venture capitalist, Tim Draper’s father, William Henry Draper III, founded Draper & Johnson Investment Company in 1962. Further, William Draper’s father, William Henry Draper Jr., founded VC firm Draper, Gaither and Anderson in 1958. Today, Draper’s son, Adam Draper, is heavily involved in the bitcoin space as a VC, and was notably an early investor in California-based bitcoin financial services provider Coinbase, one of the most established bitcoin businesses in the US. Adam Draper has since launched an ambitious plan to fund 100 bitcoin startups over the next three years through his seed fund and startup incubator, Boost VC. Of course, while the sale is significant for Draper, the announcement that the coins will be leveraged by Vaurum could also have a large impact on the industry, particularly as more investors become interested in bitcoin’s potential. A member of Boost VC’s 2013 summer class of seven startups, Vaurum is aiming to cater to traditional brokerage investors who lack access to bitcoin. The company is currently working on an API for financial organisations and a robust trading engine to meet this goal. Notably, it is not alone in this space, as Google Ventures-backed Buttercoin and Bex.io, which is soon preparing a significant launch in Mexico, are also offering competing solutions. The news that Vaurum has secured a presumably greater level of access to liquidity than its competitors comes at a time when the industry’s institutional investors are heralding an uptick in interest among the lucrative high net worth demographic. Vaurum is seeking to popularize a white-label version of a traditional bitcoin exchange, though the company has noted that its service is primarily designed for high-frequency trading. The company monetizes by charging its partners for a percentage of bitcoin trading, while the partner gains commission for any facilitated fiat trading. As of this May, Vaurum told CoinDesk that its service was already being used by major hedge funds and foreign exchange dealers. In addition to Tim Draper, the firm is backed by recent BlockScore investor Battery Ventures and AOL CEO Steve Case.